We are moving. Sometime in early 2017 we plan to move to a new building near 56th Ave. and Pecos Street just Northwest of downtown Denver. It will be our third move since we first opened a wash plant in Denver in 1982. 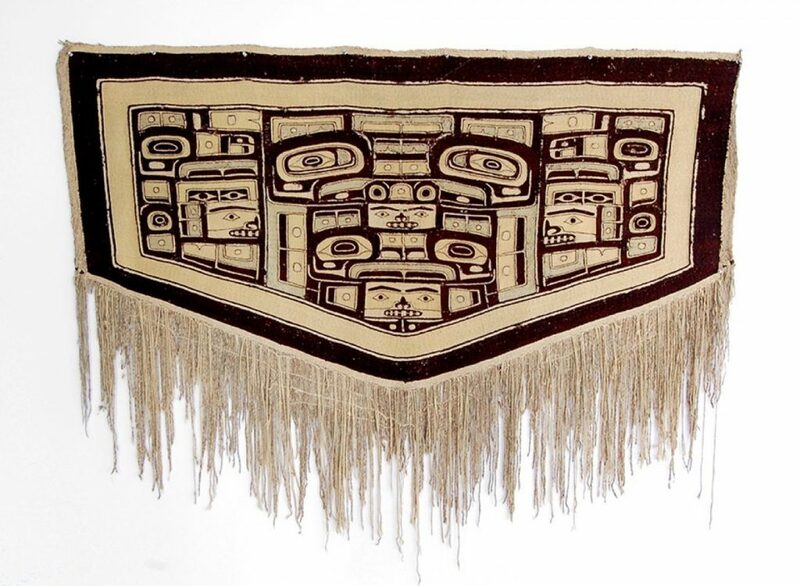 ‘Chilkat Dance Blankets’ – as they are commonly known – are a product of an old weaving tradition practiced by native peoples of the Pacific coastal areas of Alaska and British Columbia. 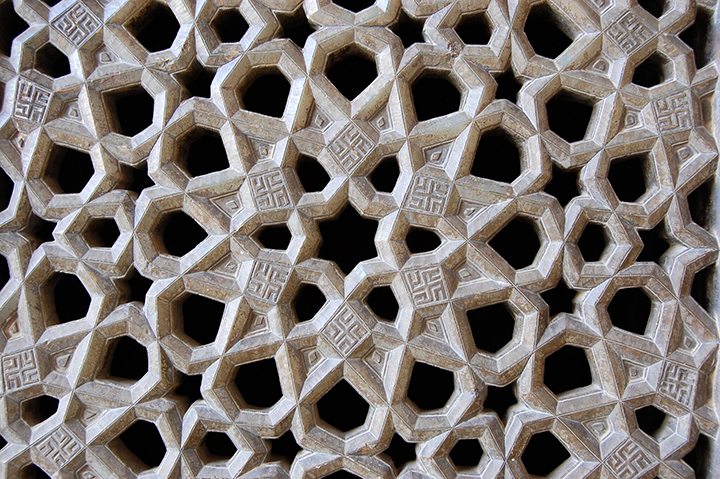 Their structure is a surprisingly complex mix of twining, plaiting, and weft wrapping used skillfully to create complex curvilinear designs. Clients often ask us to cut or re-size rugs to suit their decorating needs. 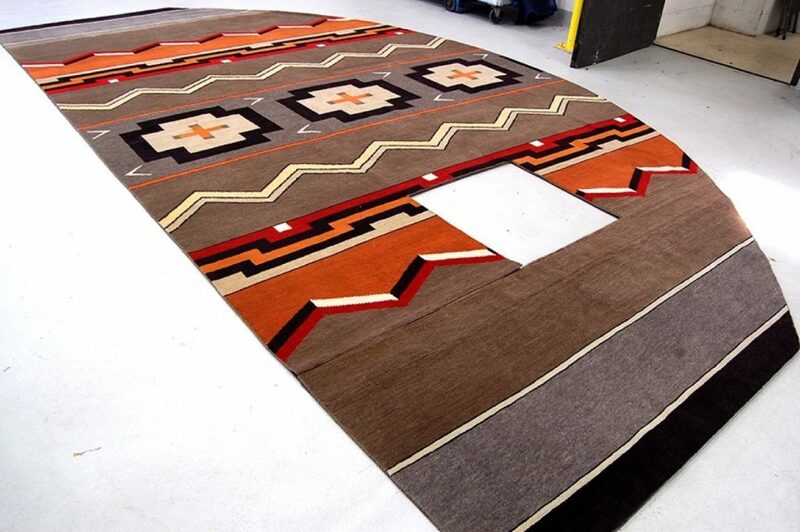 Usually it’s making a rug smaller or creating a custom size runner. Sometimes it’s more complicated. 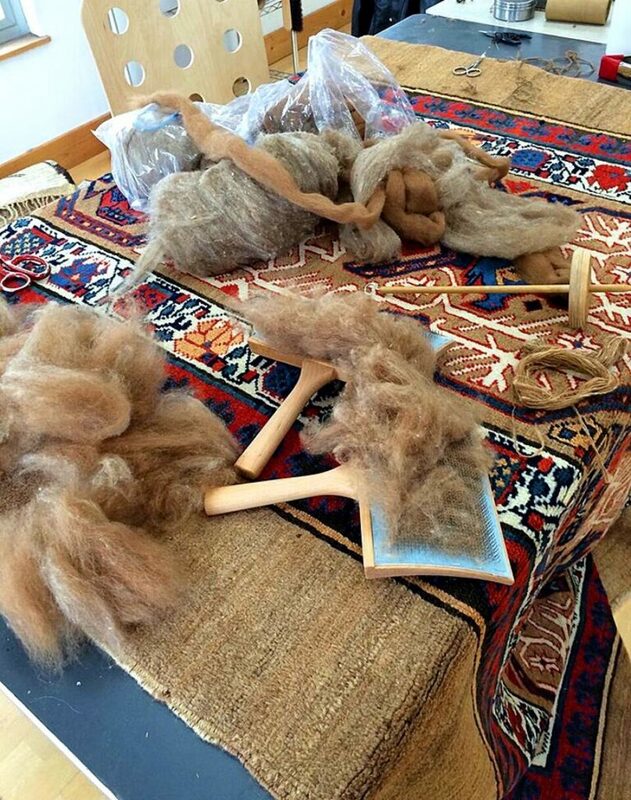 A client brought in a Sarab long rug – formerly in Walter Cecil’s personal collection, a guy with impeccable taste in old rugs – and asked us to change some faded re-knots in the camel border.